FASHION LIMITED - NATURE THEME! | ! *PurpleMoon Creations* ! 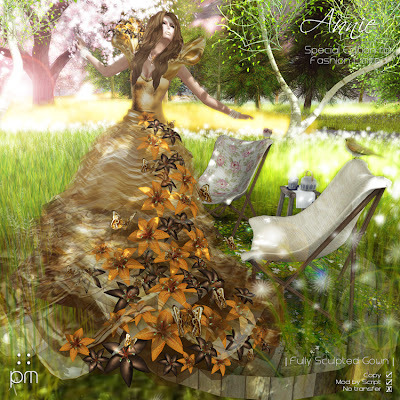 I created this special version of our anniversary gown Annie. This time featuring gold and brown shades. Skirt and collar are fully SCULPTED. If you find this item has sold out by the time you arrive to Fashion Limited, please come to our Main Store where it can be found at its regular price.